Cool Coding with Clementoni Mind Designer Robot. 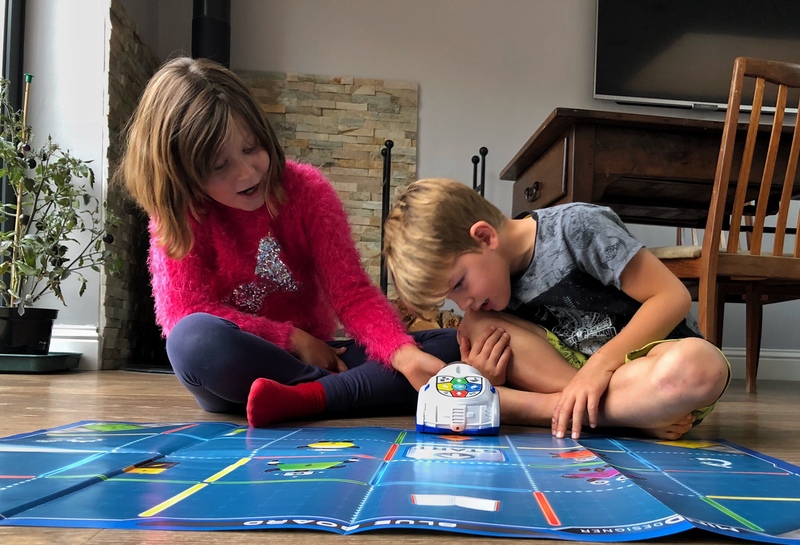 When we were home schooling, we started really getting into coding and so when we were sent the Clementoni Mind Designer Robot to review, I was really excited. This has been a toy that has actually far exceeded my expectations, which is a real commendation as I was excited enough about it to begin with! What I love the most is that, among many other functions, you can instruct it to draw amazing geometric pictures which are perfect for colouring in. The reason I think this so special is because when I was at school, I always had this misconception that you are either science or art minded, never both. 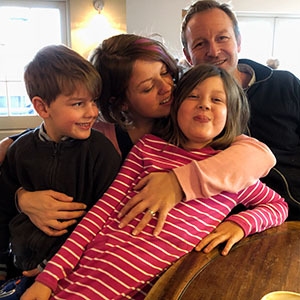 It’s even stuck with me until this age and I don’t want my kids feeling this way, especially my daughter as it’s hard enough getting girls interested in STEM in my experience. I was always dubbed as ‘a creative’ at school and loved art and textiles but hated the austere seeming maths and science, so to have had something like this to bridge the gap would have really helped me to see that there are so many more possibilities for enjoying science and maths in ways that appeal to me in an arty creative way as well. A great thing about the Clementoni Mind Designer is that it is ready straight out of the box, (bar the 4 AA batteries). Everything you need is in there, the paper, the pens, detailed instructions, a game mat and of course, the adorable robot. 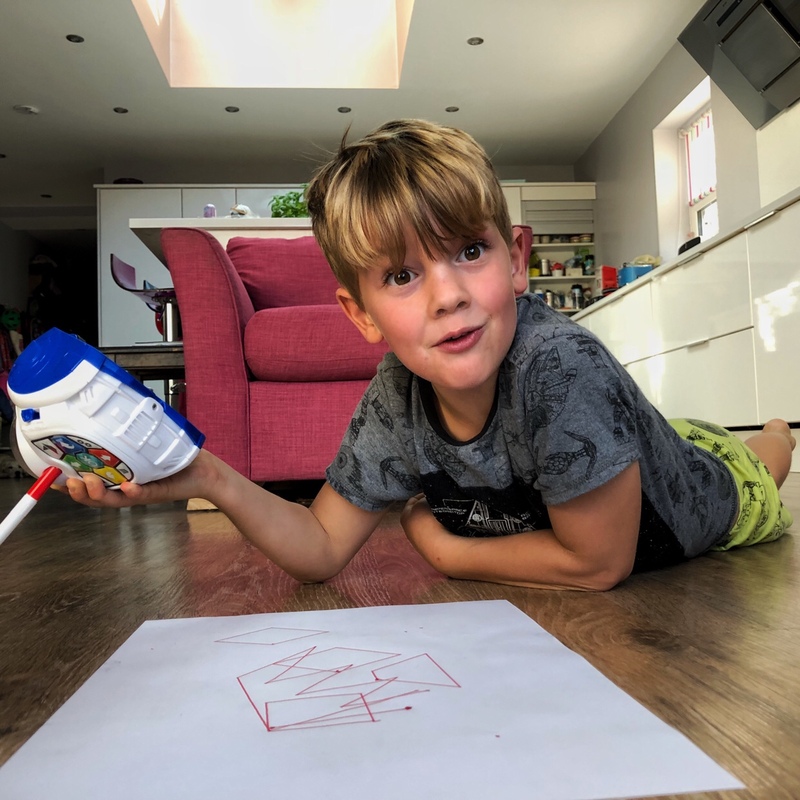 You don’t need the app to start playing with the robot, but it adds so many extra features that it is recommended, you connect it via bluetooth and then you can do things like draw on the screen and the robot will copy your exact drawing on the paper, the kids were blown away by this. Top Tip: When drawing, keep your finger on the pointer and then press gently to make a star marker before moving the counter on so you can change direction of your line. I spend ages trying to work that out! 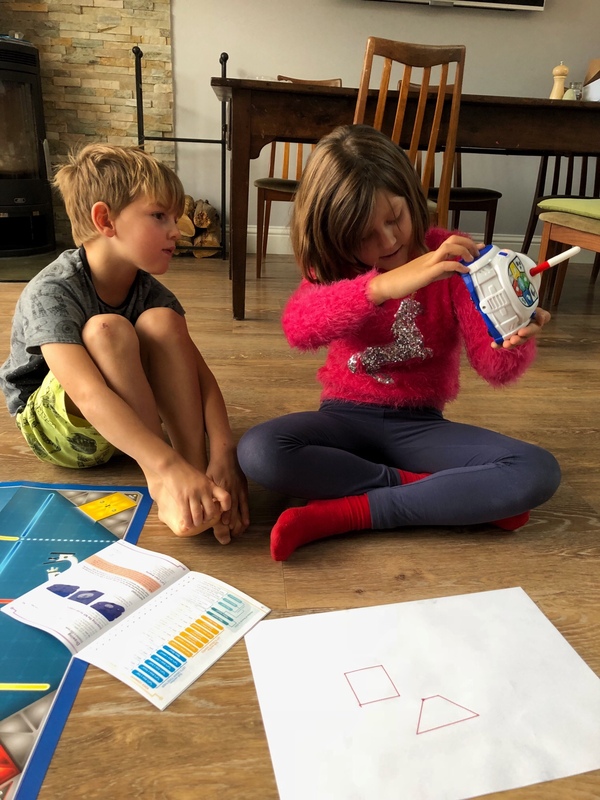 My children were very quick to pick up the manual instructions as they had experience with something similar from school. 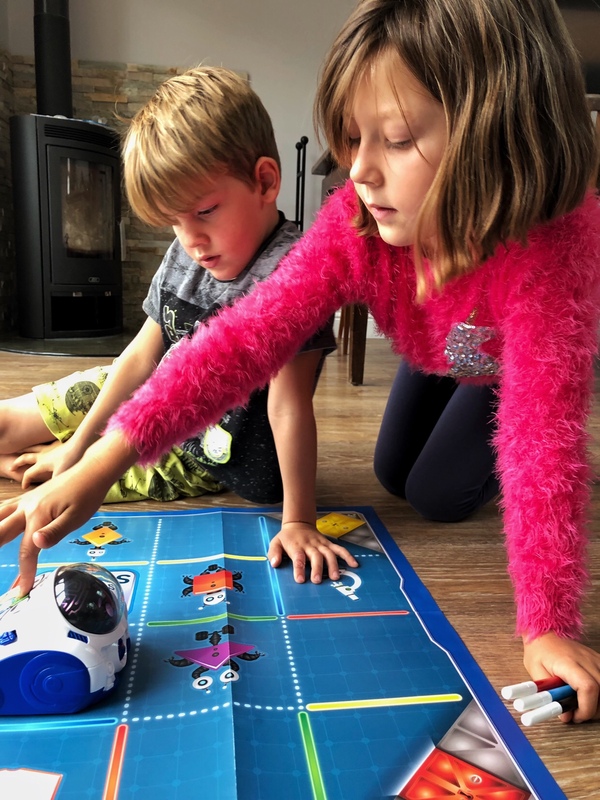 The instructions are very detailed and the buttons on the robots are large and bright, making it easy for children to figure out under their own steam without too much input from a grown up. I love watching them working together to find out how to make something function properly, and seeing them grow as they learn from trial and error. 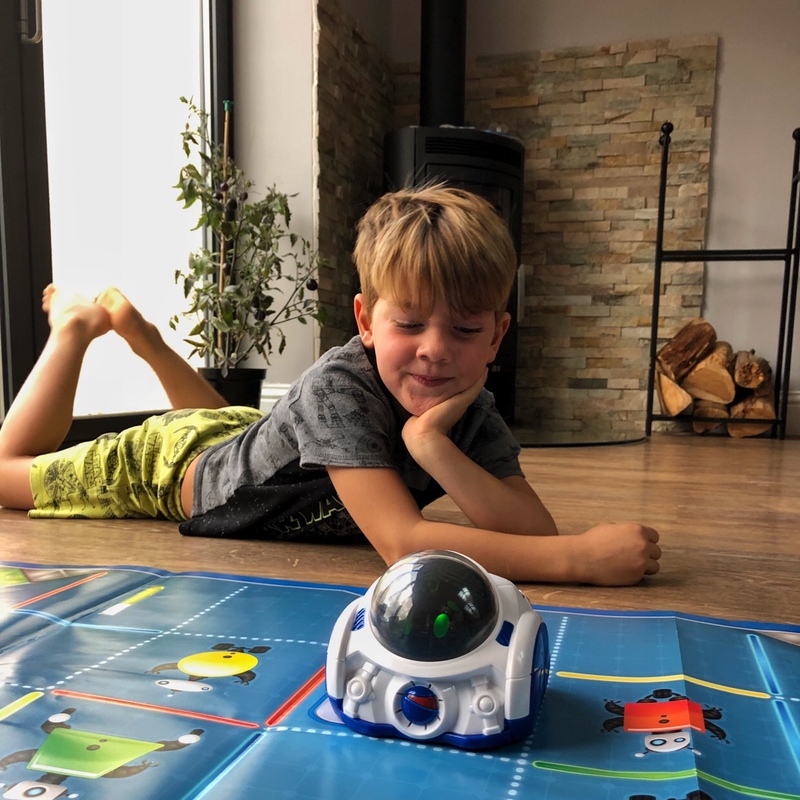 The robot itself is incredibly cute with a sweet illuminated face, it has integrated voice recognition meaning that it recognises and follows your children’s commands, as well as being able to be manually operated or controlled through the free app you can download onto your phone or tablet. It is part of their STEM range and aimed at children aged 6 – 10. It’s also science museum approved. 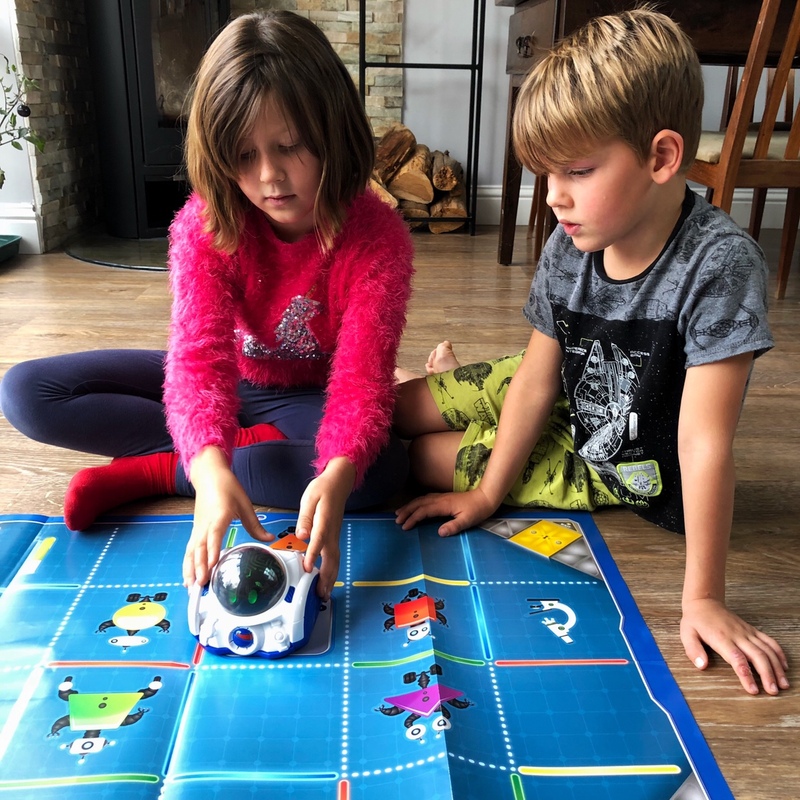 The Cementoni Mind Designer Robot is priced at £49.99 which makes it a ‘big present’ in my mind but I love the thought of giving them something that they can have no end of learning fun with and new and exciting ways to express their creativity. It is also an excellent tool to have if you are home educating or home schooling.